By Brett Chermansky, Manager of Engineering, JFW Industries, Inc. In the RF & Wireless Industries, system performance requirements seem to expand almost daily. These systems continue to encompass more and more of today's broad-reaching technologies. Engineers working in this environment are often tasked with designs that must combine and distribute RF signals from multiple input devices. While at the same time, making those signals available via multiple outputs. In many cases, an RF Matrix Switch can be the solution to this problem. In this article, we will explore the three most basic types of Matrix Switches. We will also touch upon the inherent advantages and disadvantages of each of these configurations. 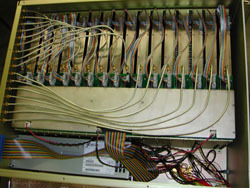 A Blocking Matrix Switch is built with switches on both the inputs and the outputs. Therefore, each input signal can be switched to one individual output port. If an application requires an input to be available to more than one output simultaneously, then a Non-Blocking Matrix becomes necessary. The two most notable advantages of a Blocking Matrix Switch are insertion loss and isolation. Because the design uses only switches and no power dividers, the insertion loss will be relatively low. Using only switches also makes it possible to maintain very high isolation from input to output. However, one significant disadvantage to this type of design is its cost. 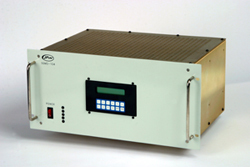 RF switches are generally more expensive to produce than RF power dividers.